Welcome to our guide to the most popular types of interior doors including ideas for styles, materials and designs. There are many interior door types to choose from depending on the style of your home and the function needed. When designing your space, the doors are often an afterthought, after all, they are already in most homes when you move in. A great interior door can tie a look together, stand-out, blend in, and even save space. 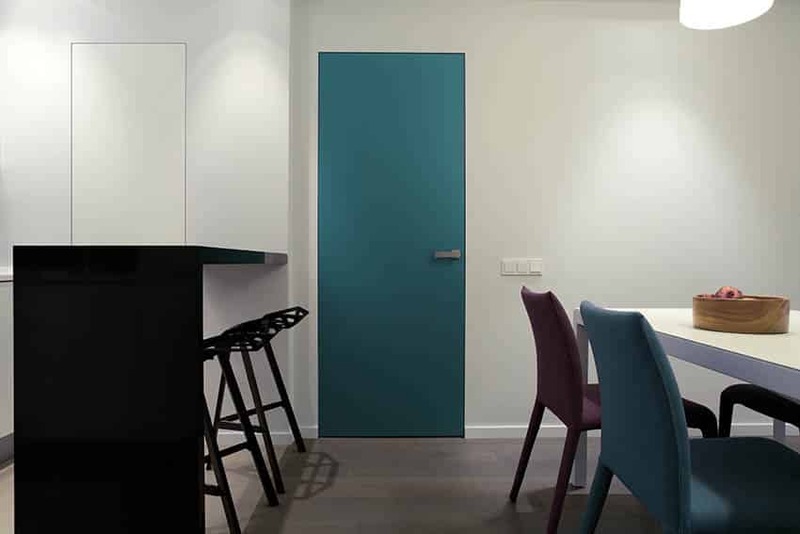 While taste, style and aesthetics are important to consider in choosing the right interior door for your home, it is also important to look into other factors, such as cost, function and the materials use to ensure durability and long lifespan. Below we give you a complete guide on interior door types along with some tips on how to use them for your home. Aside from deciding on the type and style of door that you will be using for your home, it is also important to get a general overview of the types of material that is available for their construction. Each type of material that is used for interior doors have their own positive and negative features. Consequently, the materials you choose for your interior door play a key role in terms of their appearance, aesthetic appeal, quality, performance and lifespan. Wood, metal, composites, and fiberglass are the materials most commonly used for doors. Other alternatives include glass, acrylic and medium density fiberboard (MDF). For more rustic and traditional applications, you can have doors made from reclaimed barn or ship wood. In addition, interior doors can als be solid or hollow core, flush or paneled. Because interior doors are not exposed to harsh outdoor elements, they are often made of lightweight materials and can be treated in a variety of ways. Read on to learn more about the most popular materials for interior doors. Natural solid wood has been the traditional material of choice for interior door designs. Often favored for their distinct natural beauty, solid wood interior doors provide a warm, organic look and bring in natural coziness to a space. The usage of solid wood interior doors also feel ofer a more pleasant atmosphere to home interiors. They are more inviting and welcoming for guests as they are seen to be more “friendly” compared to a metal door which has the tendency to look “stiff” and cold. In general, solid wood doors also work well with most interior styles whether traditional or modern. Solid wood doors in natural colors or stained finishes can cohesively tie the look of a space. Wood, as a material for construction, is also very flexible and can be modified into different shapes and designs, whether rectangular, paneled, round peak shape, arched, French style or carved. It can be stained or painted in a particular finish or color, allowing more room for design. Unlike metal, wood interior doors function well in terms of providing insulation. They are able to maintain heat in a room and hold it effectively. Aside from that, wood interior doors are also known for their impressive durability and strength. Compared to other materials, wooden interior doors are generally thick and are more stable. They can last for years or even decades, provided that are properly installed, cared for and maintained. There are still a few drawbacks to using wood interior doors. Wood interior doors can sustain minor damages like scratches, dents and cracks, but can be repaired easily and inexpensively. Regardless of the wood type and species, solid wood interior doors are naturally prone to warping and swelling especially if they are exposed to elements such as changing temperatures, moisture and humidity. In addition, it is also susceptible to rot, decay and molds, thus need sealing and periodic treatment during use. However, there are specific species of wood which are inherently adaptive to this damaging factors and you can consider them when choosing your material for interior doors. It is also best to avoid using a solid wood interior door in a bathroom or other area where it is exposed to a lot of moisture. Since there are so many available species used for interior doors, the prices for this type of door material also greatly varies. But in general, solid wood is the most expensive material for interior doors. There are a variety of wood species that can be used for interior doors which range from practical softwoods such as pine, to classic, expensive hardwoods like mahogany or redwood. The most popular wood species for interior doors are cherry, oak, walnut, maple, and juniper. Pine is a type of softwood that is commonly used in interior applications such as cabinetry, furniture and doors. Characterized by a pale, yellow color, pine can be used for a variety of interior door designs and styles as it can be treated in a variety of ways. Pine interior doors can either be painted or stained to achieve a whole new different appearance. Pine, as a wood, dents easily because it isn’t a hardwood, so typically, it is subjected to pressure and heat treatment before being constructed into doors in order to reinforce its strength and quality. Pine interior doors are often favored by those with a taste for traditional, rustic and country inspired homes. Oak is another popular species of wood that is used for interior doors. In general, oak has a distinct color that range from white to pink, reddish tones. Other variations have occasional streaks of yellow, green and black which come from the presence of mineral deposits in the wood. The attractive appearance and variety of colors that oak interior doors possess provide diverse design opportunities as they can be used to match any type of interior style and decor. Oak interior doors are also durable, hard wearing and long lasting doors. They function well as insulation as they help keep heat inside your home. Compared to other solid wood interior doors, oak doors are extremely affordable despite their high quality. Cherry wood is well known for its distinct natural deep reddish brown color and fine graining pattern. The best advantage that cherry interior doors offer in terms of visual esthetics is that it renders different looks throughout its lifespan as it ages gracefully and changes into different tones of color over time. Aside from its stunning beauty, cherry interior doors are also highly durable and can withstand scratches and knocks from everyday use. Cherry interior doors offers richness and luxury to different interior applications, especially when they are treated with a coat of clear stain. Although more commonly used in traditional interiors, cherry doors may also be used for contemporary and transitional homes. Walnut has a smooth, even, fine grained pattern and a distinct muted brown color. The appearance of walnut wood is generally more uniform compared to other species as it is filled with straight grains that range from a light reddish gray brown color to streaks of deep chocolate brown. Just like cherry interior doors, walnut doors render a strong visual appeal especially when they age as they turn into a beautiful mellow color over time. Walnut interior doors are highly suitable for a variety of design styles which range from traditional, transitional, contemporary and modern. Maple is characterized by its subtle fine graining pattern and light color. Maple wood is predominantly white in color but has variations which range from a creamy beige tone to occasional brown undertones. In general, maple interior doors have a smooth, uniform color and appearance, allowing them to blend into contemporary interior settings. When used for interior applications, maple doors are best stained in a clear color to allow their natural light color to stand out. Compared to other wood species, maple is a more expensive material for interior doors. Mahogany is one of the most expensive options for solid wood interior doors. It is a kind of straight grained wood that has a pale pink to reddish brown color. This color often changes into a darker tone who gives mahogany interior doors a richer appearance. Mahogany interior doors provide a warm and inviting feel to homes. 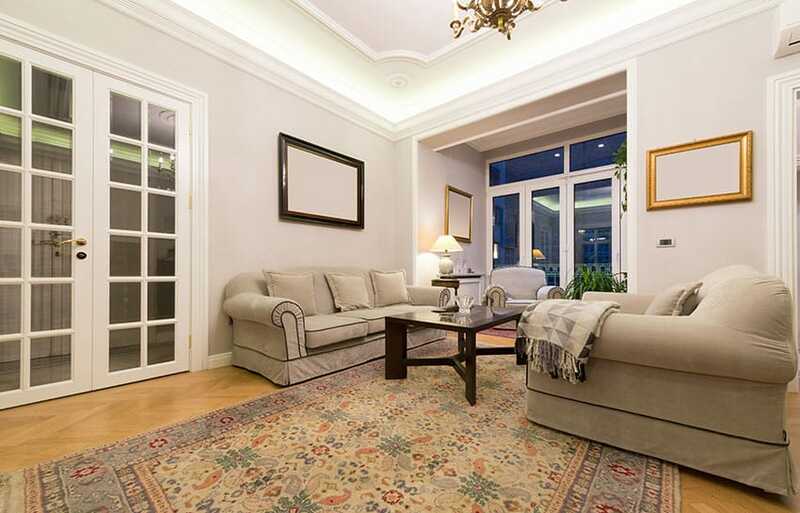 In addition they help enhance a natural ambience of a space and bring in sophistication to its decor. 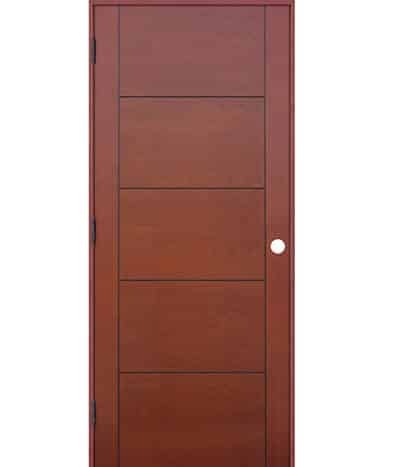 Mahogany doors can also be matched easily with any style and color. Mahogany interior doors are not only prized for their beauty but also for their durability and color. It is one of the most reliable wood species for interior doors as they have a remarkable sturdiness. It is tough and hard to dent, resistant to both decay and insects and can last for years or even decades.In addition, mahogany is an easy material to work with, providing a vast opportunity for hand carvings, engravings and embossing in the door’s design. It is easy to treat, can be stained or painted in any color. However, mahogany interior doors are more expensive compared to other species of wood. Their price ranges from $500 to $2000 depending on the interior door size and style. But this extra cost is worth it because mahogany interior doors outlast other kinds of solid wood doors. Just like any solid wood door, mahogany interior doors need to be refinishes and regularly maintained. Redwood is one of the most beautiful woods available for use in interior doors. It has a unique rich, red color which creates visually stunning door designs. In addition to the high value of aesthetic interest that they add into spaces, redwood interior doors are extremely durable. Redwood interior doors are inherently weather resistant and termite proof because they produce natural oils which give them adaptive properties. Perhaps, its greatest attribute though is that its ability to retain moisture and stay vibrant longer than other wood species. Compared to other woods, redwood interior doors do not shrink and decay easily. Juniper are coniferous plants that belong to the family of cypress trees. As a material for interior doors, juniper is long lasting and offers a beautiful, natural, one of a kind look that is characterized by unique knots and splits and large, swirling graining patterns. The color or juniper wood ranges from lighter tones to deep shades of brown and cinnamon red. Over time, its natural color darkens to a rich tone, giving it a whole new heightened level of appeal. Wood experts even describe the appearance of juniper wood to be “sensual”. Juniper interior doors are best stained, but they can also be painted to achieve a whole new different look and color. They work well as interior doors for traditional homes because of their rustic character. In addition to their stylish looks and sustainability, interior doors that are made with juniper are high quality and durable. Although a type of softwood, juniper interior doors shrinks and swell less compared to other wood species, thus they are more resistant to moisture and other elements. With proper installation and maintenance, juniper interior doors can last for up to fifty years or more. Cost wise, juniper interior doors fall somewhere in the middle range and typically start around $1300 per piece. As an alternative to traditional solid wood interior doors, metal and steel doors are slowly gaining popularity in the interior design scene. Although metal doors may not be your first option when looking for doors for you residences, they complement specific design styles better and present a number of advantages. Metal interior doors offer a more streamlined look compared to standard wood doors or MDF doors. They are well suited for contemporary and modern inspired interiors. Metal interior doors are also known for their extreme durability. Unlike solid wood doors which are prone to warping, decay and rot, metal interior doors are not susceptible to such damaging factors. Metal interior doors are also fire resistant and do not easy crack or bow. They are energy efficient and do not require any routine maintenance. Although prone to scratches and dents, metal interior doors can be easily repaired. In terms of cost, metal doors are generally cheaper than a classic door that is made up of solid wood. Some popular variations of metal doors are steel doors and metal doors with glass inserts. Steel interior doors are not really made of one solid slab of steel. Instead they are typically constructed with polystyrene or polyurethane cores that are encased in a steel cover. Metal interior doors with glass inserts, on the other hand, provide more interest and a less heavy appearance. Some manufacturers also offer metal doors that gave cutouts and designs and allow for customization. Metal interior doors are also available in different framing designs and a wide variety of color options. Typically, they are factory primed, which means that they can be painted based on your own color specifications. Medium density fiberboard (MDF) is a type of engineered wood product that is mainly composed of recycled wood fibers. It has become one of the most common interior door materials because of its affordability and durability. MDF interior doors can withstand humidity and heat better than solid wood interior doors. Unlike traditional and natural materials, MDF interior doors are less likely to warp, and are resistant to decay and rot, making them the ideal choice for rooms which are constantly exposed to humidity and moisture such as bathrooms and kitchens. MDF interior doors won’t chip or crack due to heat exposure and won’t expand or contract either, making their finishing longer lasting. In terms of appearance, MDF interior doors typically mimic the appearance of natural wood. Despite lacking wood grain texture, MDF interior doors are smooth and easy to finish, so in case you decide on changing the color of your doors, you can change its appearance and paint it with a new color easily. And since they can be stained or painted, MDF interior doors offer high versatility and flexibility regardless of the style of your home. A large variety of MDF interior doors are also available in a wide range of attractive styles, which include paneled styles and modern looks. Glass doors are a common feature in modern and contemporary homes. In general, glass doors may either be made up purely of glass or may be combined with another material such as wood or metal. The latter is usually referred to as “glass paneled doors” and are more decorative in form, as the glass is typically installed in the form of panels to create an accent in the door’s design. Whereas the former, is more commonly found in commercial establishments like stores, malls, etc. Individual glass panes are often referred to as “lights” or “lites”. Popular variations of lights in glass paneled doors include frosted glass, smoked glass, clear glass, textured glass and colored glass. For more decorative designs, stained glass may also be used. While for residential entrances and main doors, ornately patterned and etched glass as your best options. One of the greatest benefits that glass interior doors offer is that they allow light to pass through. It allows natural sunlight to enter into a room, significantly enhancing the ambiance and the appeal of the interior. Not only does natural light look more pleasant than artificial lighting but it also contributes practical benefits such as energy efficiency and reducing the need for artificial lighting which consequently lowers the cost of electricity. And since there are also less dark areas and fewer shadows in the room, the area can be used more efficiently. For some homeowners, the major disadvantage of glass interior doors is that they lack privacy. However, there are still other ways to enjoy the benefit of glass doors while also enjoying privacy. Frosted glass, graphic coat glass and colored opaque glass are some of the options that address this issue while also adding visual interest to a space. Another advantage of glass interior doors is that they are easy to maintain, requiring only occasional wiping with the use of a soft cloth and glass cleaner. Compared to metal doors, which have the tendency to rust or corrode and wood interior doors which are prone to molds, decay, rot and warping, glass is not susceptible to the aforementioned damaging factors. However, they have the tendency to crack or break when subjected to a heavy blow or trauma. Glass-paneled doors need to be well built and sturdy. You can look for tempered glass or toughened glass to make sure that your interior door does not break easily or shatter. Also, make sure the glass is well sealed against the stiles and rails of your framing material. Common types of interior doors which are made up of glass are storm doors, sliding doors and folding doors. Among the three, the most popular are glass sliding doors. 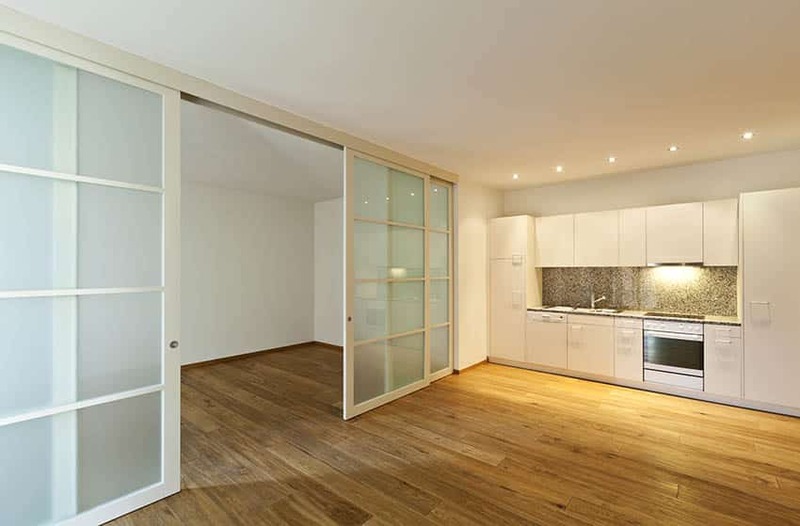 You can learn more about sliding doors as we go on with this article. Fiberglass is widely used in manufacturing furniture, windows, doors, and other forms of interior decor due to its flexibility and ability to be molded into custom shapes. By definition, fiberglass is a type of reinforced material that is composed of glass fibers that are embedded in resins. Fiberglass doors can be used in both interior and exterior applications. In general, fiberglass interior doors offer security, energy efficiency and aesthetic quality. Fiberglass interior doors are much stronger and tougher than wood or steel interior doors. Unlike natural wood interior doors, fiberglass doors do not warp or expand when exposed to moisture. They do not get scratched and their finish does not peel. In addition, fiberglass interior doors also do not need any special maintenance at all, except for occasional wiping and general cleaning to keep them in good condition. However they can be a bit challenging to repair once damaged. As mentioned, fiberglass is one of the most versatile and flexible materials in the market, which means it can be customized to produce different interior door styles, designs, sizes, color and finish. Fiberglass doors are typically molded to resemble natural hardwoods such as mahogany and oak. They capture the wood grain patterns of these woods and can be made into a variety of colors. Fiberglass interior doors can be painted in order to match your desired color scheme and style. In addition, fiberglass interior doors can also be decorated with decorative glass panels or it can be mixed with other materials like steel or wood. Fiberglass doors can make a good impression when used for a home. It offers the same beauty that a wood door has, but minus the drawbacks that typically come with it. Whether you are aiming to achieve a rustic style or a modern look, fiberglass interior doors can help complete the desired overall look for your home. UPVC doors – UPVC or plasticized polyvinyl chloride, also known as rigid PVC or vinyl siding, are basically PVC’s that have no plasticizers added to them. UPVC interior doors are less flexible than PVC, they can last for years without any damage and are fire resistant. 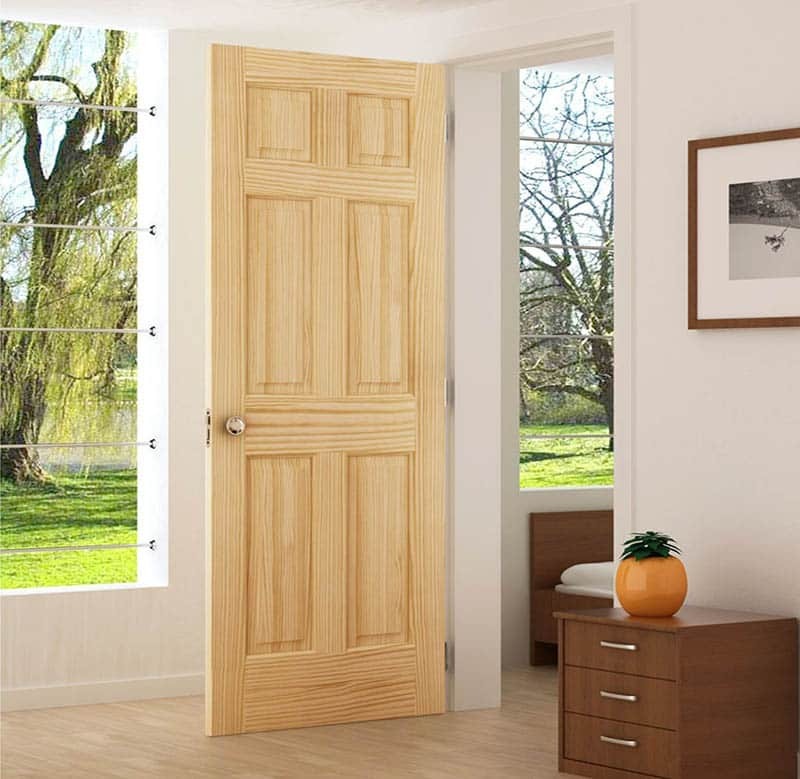 In direct contrast to traditional solid wood doors, UPVC doors do not need any form of finishing such as varnishing, painting, staining or sealing. However, UPVC interior doors are thinner than solid wood doors and have less strength. Composite doors – Composite interior doors are another type of modern alternative to traditional materials. Composite doors are made up of multiple layers of materials which comprised of a core that is made up of wood, insulation and a number of other materials which are protected by a weather resistant outer skin. Compared to UPVC doors, composite interior doors are more expensive but their benefit outweighs the additional cost. In terms of design application, composite doors come in different colors and finishes which may sometimes mimic the appearance of wood. Typically, these interior doors are finished with veneers such as red oak, alpine oak, birch, lauan, and mahogany. Stamped Hardboard – Stamped hardboard is often the most affordable material for interior doors. Stamped hardboard interior doors are made up of engineered wood known as “hardboard” or high density fiberboards / HDF. This is commonly known by the brand name Masonite. Hardboard is generally a soft material as it is made up of steam cooked, pressure molded and compressed wood fibers, but it is usually covered with a hard baked paint. 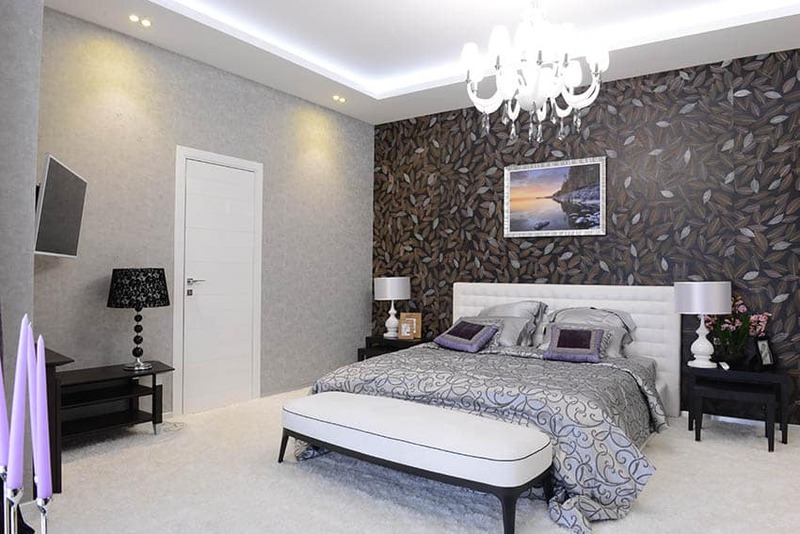 Hardboard is similar to particle boards and MDF but it is stronger, harder and denser. Typically, stamped hardboard doors are constructed as “hollow core” but in some cases they are filled with foam or reinforced with particle boards. Stamped hardboard doors are more affordable alternatives to other interior doors materials, but they can be easily dented. 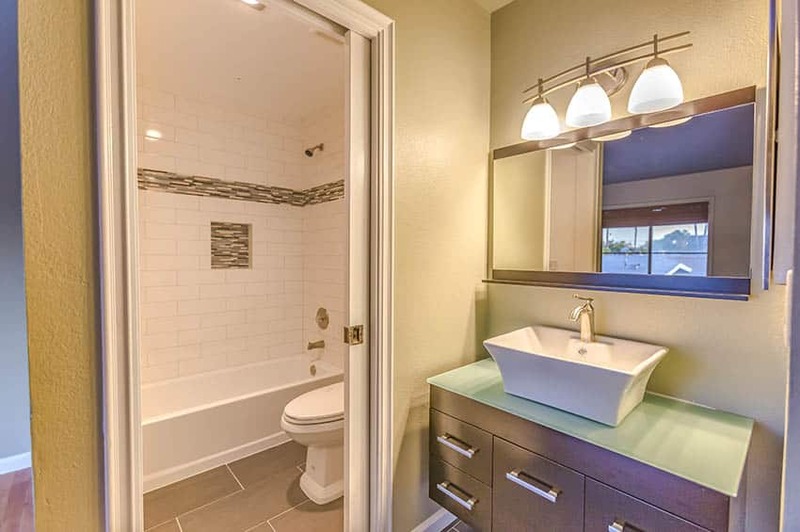 They are also not advisable to be used in wet areas like bathrooms since these doors have the tendency to sell when exposed to moisture for prolonged periods. When damaged, stamped hardboard doors can be difficult to repair. However, if treated with proper care, they can look great for years. 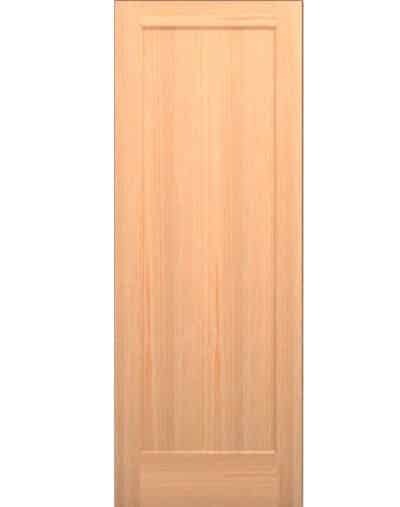 In terms of appearance, stamped hardboard doors are typically molded to mimic the look of natural wood grain. It can be painted in different colors to match any style of home, and it also comes in a wide range of designs which include paneled, glass inserts, louvered and French style doors. Masonite also produced stamped hardboard interior doors in a wide variety of designs and you can view these in their website. In addition to the common materials used for construction, the types of interior doors also vary in terms of the type of construction. Interior doors may also be classified into three general categories namely: solid wood doors, hollow core doors and solid core doors. Solid wood doors – By definition, a solid wood door is made up of individual natural wood elements that are fitted together to form a single unit. Solid wood doors are typically made of 100% natural wood like mahogany, oak, maple, cherry, pine and walnut. Due to their durability solid types are often used for front door designs. In terms of appearance, solid wood doors possess the most appeal because of their inherent warmth and coziness. They are typically stained or painted and come in a variety of designs which can match any style of interior. Solid wood doors are extremely sturdy and naturally have the most “weight” to their feel. They look more substantial and operates with greater effort because of the heftiness of the materials used in its construction. Solid wood doors also offer resistance to chipping and cracking because they are thicker compared to other interior door types. They provide a good source of insulation and also provides a natural sound barrier compared to hollow core doors. In addition, solid wood doors also last for years. However, since solid wood doors are made entirely of real wood, they are prone to damaging factors such as molds, rot, decay and excessive moisture. While generally the most expensive option, most homeowners still consider it to be a worthy investment because of their durability and lifespan. A solid wood door can also significantly increase the value of one’s home, while also maintaining a classic feel and historical vibe all throughput the space. Solid core doors – Solid core doors are typically made up of composite wood such as plywood or a molded composite exterior with a wood fiber filled interior that mimics the sturdiness of real wood. A popular material used for solid core doors is “Masonite”. Usually, solid core doors are painted or faced with veneers like birch, oak, fir, beech, alder, etc. Since solid core doors are made up of dense composite materials, they can sometimes be heavier that natural solid wood doors and hollow core doors. The fillers and resin used in their composition also adds up to their weight. Due to this density, solid core doors provide better insulation, temperature control and offer excellent sound and noise blockage between rooms. Solid core doors also have better performance compared to hollow core doors. However, there are still a few cons to using solid core doors. Their weight is mainly a major issue as solid core doors always need to be installed by two people. They are not recommended for self installation. And since they are heavy, they have a great tendency to contract when exposed to high levels of heat and humidity. In terms of appearance, solid-core doors generally closely resemble the look and feel of a solid wood door. They can render the same “expensive feel” that natural wood has. Although nothing can truly be at par with real wood, solid core doors offer a perfect, cost effective alternative. Hollow core doors – Hollow core doors are generally the least expensive and most budget friendly option of the three materials for interior doors. They are constructed from rigid, honeycomb cardboard that is encased by a wood frame such as plywood or hardwood to maintain their shape. In other cases, hollow core doors are also wrapped by a fiberboard shell. The cardboard honeycomb core sheathed in softwood frame is typically faced with thin wood veneers. Essentially, they are “low cost” versions of flush doors and make good alternatives especially if you need to furnish your home with a large quantity of doors. Hollow core doors are more lightweight than solid wood and solid core doors. And since they are generally lighter, they also provide the least amount of sound blockage. They are not as durable and fire resistant, but provide the best resistance to warping. Making them ideal for use in homes which have changing heat and humidity. Since they are hollow, they are not as durable and won’t block noise as well as solid wood and solid core doors. They are more prone to damage, dents and punctures and allow a considerable amount of sound transfer. In terms of lifespan, hollow core doors can last for decades, provided that they are properly maintained. 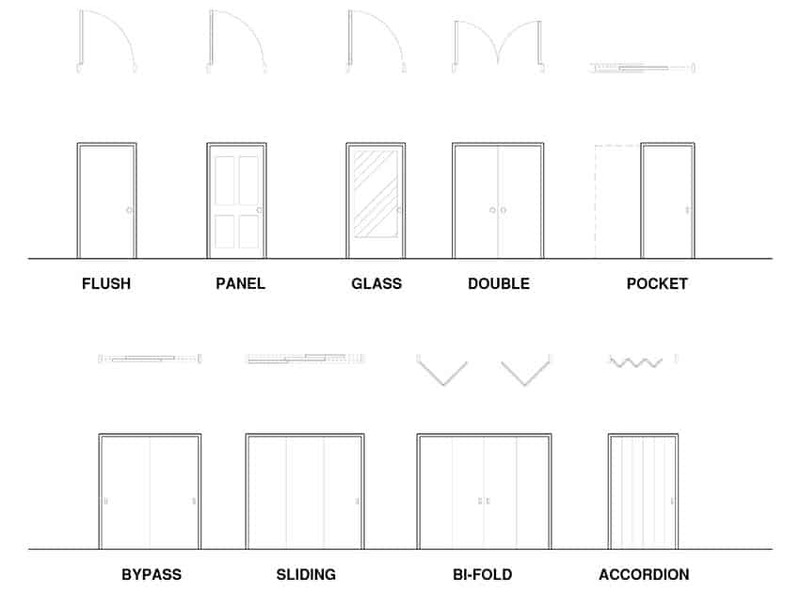 Interior door configurations can either pertain to the way a door opens or its direction of opening. While in some cases, it may also pertain to side lite entry configurations or the way panels and “lite” are arranged in a door panel. There are numerous options for interior door configurations and most suppliers offer their own signature versions. 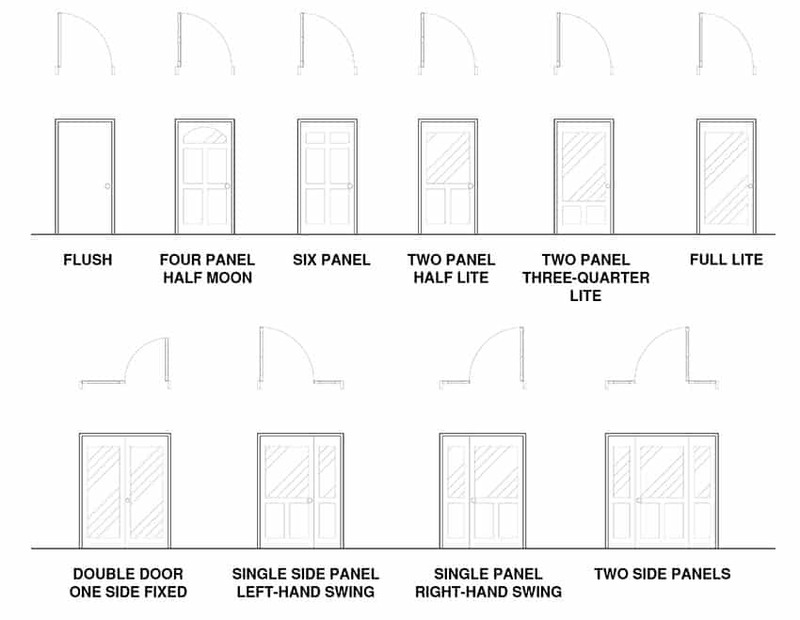 The most common interior door configuration based on side lite entry for single doors are four panel half-moon, six panel doors, two panel half lite, two panel three, quarter lite ,full lite. 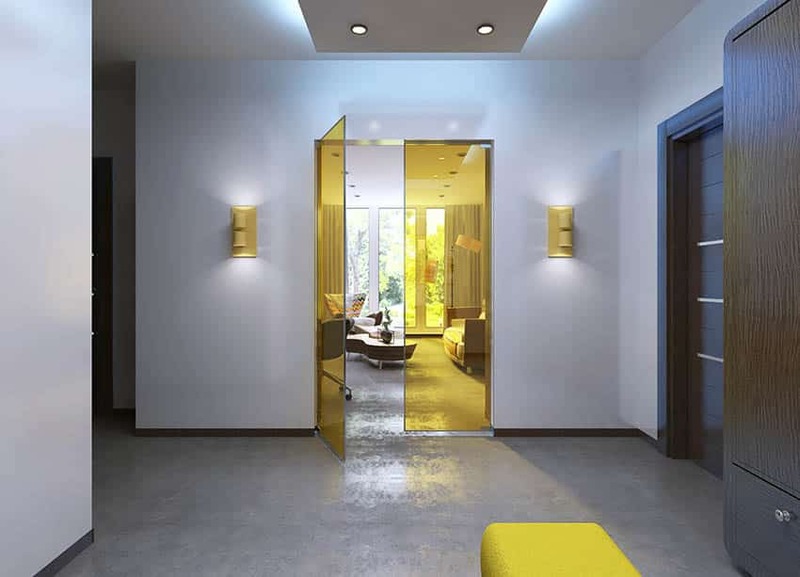 While for doors which typically have a more than two panels, the most common configurations are double door one side fixed, door with two side lites or panels, single side panel left hand swing, single side panel right hand swing, door with left side lite and door with right side lite. Pocket doors are having a moment right now in the world of design. 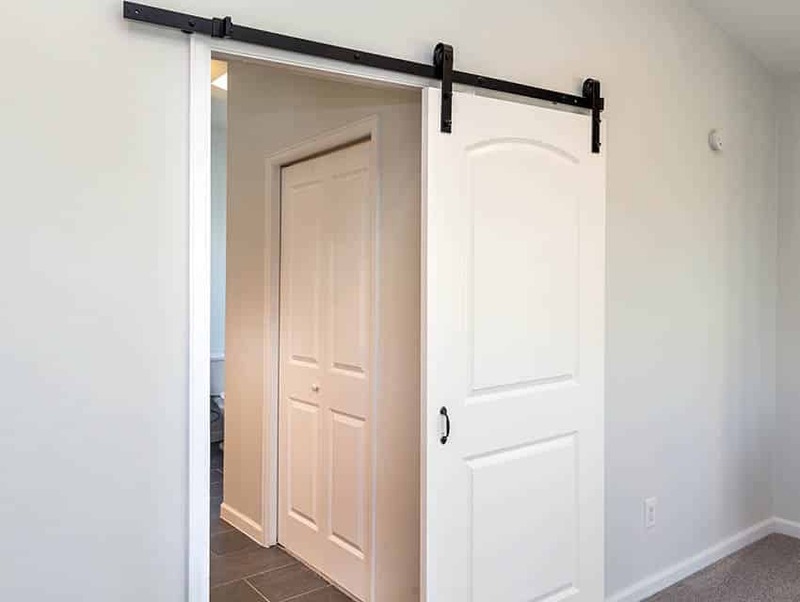 Pocket doors operate the same way a sliding door works, but essentially it is a single piece of door that is mounted to rolling overhead track and slides into a space or “pocket” installed in the wall. The frame of a pocket door is consisted of a side jamb that is split in order to receive the door and a top jamb that has a built in track. The top of door itself is mounted with rollers to allow it glide along the track. Nowadays, there are several variations of the pocket door which allow double doors to be stowed away on either side of a wall or doorway. An “old school” favorite, these doors bring in a nostalgic feel to homes, while also maximizing every inch of space. Pocket doors allow you to create more wall and floor space because they don’t need clearance to swing out. They simply slide into the space between two walls, making them suited for residential units with limited spaces like apartments, flats and condominiums. Another added benefit of pocket doors is that they also fully conceal the door into a wall, which provides a fully unobstructed doorway. With the amount of clearance that it provides, pocket doors are good solutions for meeting universal design standards. They also make a highly suitable option for rooms where the doors rarely need to be closed. While in terms of appearance, pocket doors provide a more “open” feel and a more clean design. Pocket doors are available in single and double door styles and an almost endless variety of materials like wood, metal and composite. The glass and wood doors reminiscent of French doors are a fantastic choice for dividing a living room and study, they still let light flood into the space and keep a connection between spaces while still providing privacy and separation. In general, pocket doors may be used in a variety of interior styles which range from traditional, transitional, contemporary and modern. Flush doors are the simplest type of interior doors in the market. They are characterized by a completely flat surface on both sides – a plain design with no panels and ornamentation. The most common types of flush doors are regular hinged doors, but often pocket doors are also flush. Compared to other interior door types, flush doors offer an affordable option for most homeowners. Flush doors are typically sold in solid format that is completely made up of solid wood, but it is also available in hollow core format, usually lightweight and comprised of two layers of thin wood encasing a honeycomb cardboard core. Flush doors are quite versatile because you can choose a variety of finishes for them. They are commonly stained with wood stains and painted, but their flat, smooth surface also allow for more special finishing treatments like wallpaper. They can be bought “pre-finished” or ready to paint. In addition, flush doors also highly customizable as they can be reduced or increased in size easily. They can be easily matched and furnished with any type of door hardware and can be used for a variety of applications. Basically, flush doors provide flexibility in terms of design and decor since they can blend well with any interior style for a home. Flush interior doors offer a classic option and a clean look for your home. What makes this so interesting is that you can create a “hidden door” with a flush door. Imagine a child’s room with a cool mural, the mural also covering the door, blending right in with the wall and creating a sense of fantasy and magic. Flush doors are popular in Japanese design as well, where their simple, clean lines quietly blend in to the background. This type of door tends to be the most common type of door found in contemporary and modern home settings because their simplicity and clean looks complement minimalist interiors well. Panel doors, as their name suggests, are doors that are divided into panels. They are also often referred to as “stile and rail doors: because they are built with a frame and panel construction. The framework of panel doors are made up of vertical stiles and horizontal rails that frame flat or raised wood panels or glass panes. This construction method is popularly used for solid wood doors because it helps minimize the effects and tendency of the wood to warp, swell and shrink with changes in temperature and in humidity. Typically, panel doors are made up of different varieties of timber timber sheets which are set on timber frame structure. Alternatively, panel doors can be made up of fixing pressed hardboard sheets onto the frame of the door itself. Panel doors are the most commonly used interior doors for residential spaces. We most often see 4 or 6 panel doors in homes in the United States, but they can be custom-made to your specifications if you are looking for a super-paneled look. Panel doors can either have square or rectangular patterns that can range from a single large panel to eight or more small panels. There are also several variations of the panel door which includes rounded and arched tops, or in some cases more decorative designs which feature glass inserts. Currently, the most trending panel interior door designs for homes are standard whole panel doors, three panel mission doors and five panel equal doors. However, you can choose to customize the number of panels and the type of design that goes into your panel doors detail. 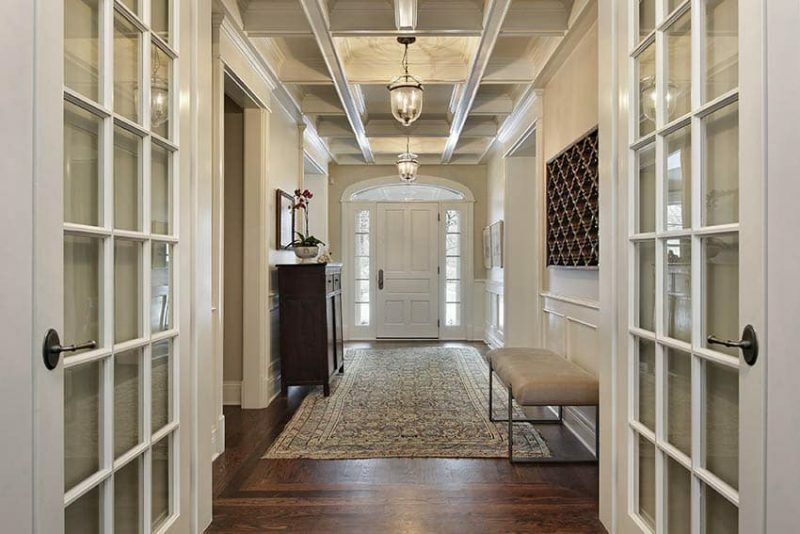 Paneled doors render a traditional look to any space. They are typically sold unfinished but can be painted or stained in any color desired. Panel doors may include glass inserts instead of wood, for homeowners who prefer a more open look. Basically, there is a wide range of design options when it comes to style, color and materials for panel doors and ultimately, selecting a door from this category will all depend on one’s personal taste and preference in style. To examine whether you are getting the best quality of panel interior doors, examine whether the door is built with accurately fitted and interlocking sections. In terms of cost, panel doors are more expensive than flush doors. In order to save on costs, you can opt for medium density fiberboard (MDF) door instead of solid wood panel doors since they offer the same looks but require lower maintenance. For homeowners who want to maintain an open look for the home, glass doors are the perfect option that can be explored. Glass doors provide an easy way to update and give your home a modern and contemporary feel. As mentioned earlier, glass doors may either be made entirely out of glass or it may be combined with another material, such as a wooden or metal frame. Glass doors are typically made of glass panels which are typically ½ inches to ¾ inches thick. These glass panels are usually tempered or toughened in order to reinforce their strength and prevent them from breaking easily. Also, glass doors may either be swing type or sliding. Swing glass doors are usually hinged and may either be frameless for a more streamlined and modern look. Sliding glass doors, on the other hand, usually have wooden or metal frames. However frameless glass doors are more commonly used in commercial establishments rather than residential applications. In terms of interior use, frameless glass doors are also widely featured in bathrooms and shower enclosures. Another popular form of glass doors are glass paneled doors. Glass paneled doors, as their name suggests, are panels of glass which are separated by vertical stiles and horizontal rails to produce a “pane” look. Glass paneled doors come if different configurations which range from single glass panel to up to more than ten panels which is a favorite for French glass doors. Glass doors are also ideal for those who find solid wood doors too bland or “heavy looking” as they provide diversity in terms of finish, texture and material. Glass doors allow plenty of light to enter around the home. Consequently, the abundance of natural light results to energy efficiency and savings in terms of electricity costs because it lessens the need for an artificial lighting source. Compared to other interior door types, glass doors are more decorative. The market offers a wide array of glass designs, colors and textures which may be used to produce interesting designs. Glass doors may either be clear, frosted, graphic coated or back painted, texture, etched, embossed or sandblasted, providing more opportunity for matching in your home’s interior decor. Glass doors are also highly customizable. All manufacturers offer glass doors which are tailor made based on your required measurements. When purchasing glass doors, the key guideline to keep in mind is that they should be constructed from at least 8 millimeters toughened glass to ensure their durability and lifespan. A double door is entirely different from a double acting door. By definition, double doors are pairs of two vertical doors that meet at the middle of the door frame when closed. Whereas, double acting doors, also known as double swinging door or impact traffic door is a single is a single door or a pair of doors in which the door (or doors) are able to swing in both directions because of a special type of hardware known as pivot hinges or double acting hinges. Typically, for paired double acting doors, the door to the right is considered the active door, while the one on the left is fixed (when viewed from the outside). In summary, double doors pertain to a pair of doors, while double acting doors pertains to the type of operation. Double doors create a striking entrance and give an increased aesthetic value for the home. With twice the opening, your home looks more grand and spacious, that is why they are more commonly used for main doors. However, this type of door is more advisable to large homes as they take up large amount of room. Double doors come in different styles and design and allow for full customization in terms of sizes, color, finish and materials, providing for more options which will match one’s personal preference in style and budget. The most common materials used in double doors are solid wood, glass, metals, composites or sometimes, it may even employ a mix of these materials. One of the most famous designs for the double door are French doors which we cover in more detail below. Traditionally, sliding doors are a common feature in Asian houses, particularly those that have Japanese inspiration and style. 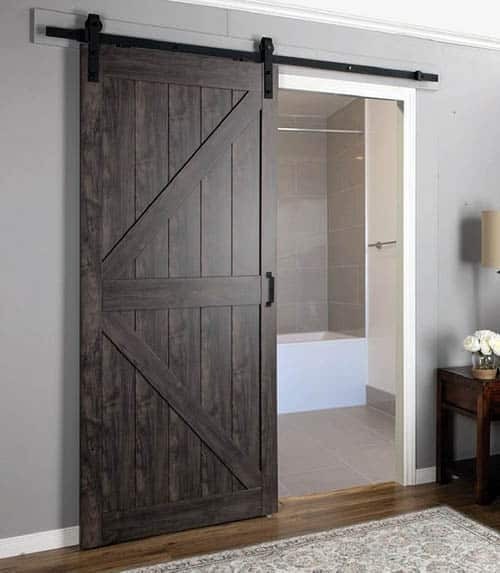 From delicate shoji screens, to minimalist glass doors and rustic barn doors, sliding doors have become an increasingly popular interior door because of the clean look that they lend to spaces. By definition, sliding doors is a type of door that opens horizontally by a sliding motion. They usually glide on a track which are mounted on either the top or bottom of the door. Sliding doors which have trolley hangers on top of the door and run on a concealed track are called “top hung sliding doors”, while those that have two rollers at the bottom of the door and two guides at the top are called “bottom rolling sliding doors”. The latter is commonly used for doors whose weight cannot be supported from above. 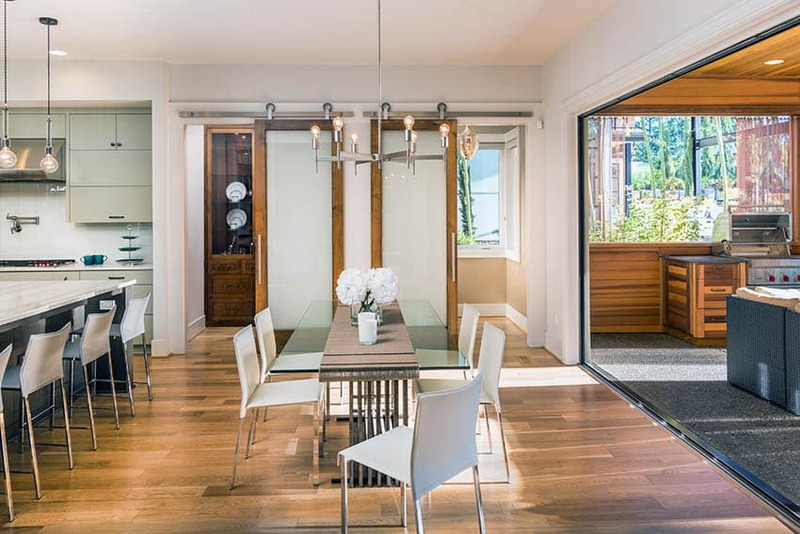 Popular examples of sliding doors are barn doors and French doors, while the most common materials for this door type are wood, metal and glass. The main advantage that sliding doors offer is that they are an incredible space saving solution. 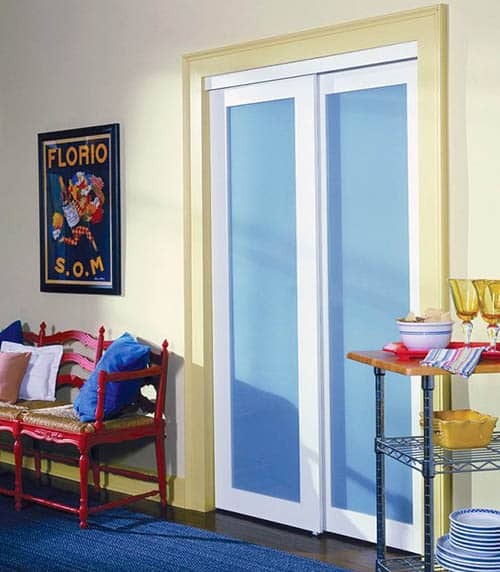 Since they do not swing, sliding doors are useful in areas without available floor space. However, they require adequate space to either the right or left side of each door to ensure that the doors can slide freely back and forth. For areas which do not have enough room for swinging doors, sliding doors are your best bet. This makes them an ideal addition to residences with limited spaces such as apartments, condominium units and flats. They also help in keeping a room more “open”, especially if made with glass, allowing more natural light and ventilation to enter into a space. Sliding doors attach to a rail that is mounted on the wall and are perfect for larger door openings. They can be used for openings to patios, lanai, and balconies or in transitions from one room to another. Sliding doors are a great way to make a statement in a space. They have a huge impact on the look and atmosphere in a room. Depending on their design, sliding doors work well as interior doors for both traditional, transitional, modern and contemporary settings. The only disadvantage that sliding doors have is that they have very little sound insulation as compared to other interior door types because their seal is less robust compared to traditional swing doors. In terms of design, sliding doors provide a vast range of options that allow you to create the right design for your home. 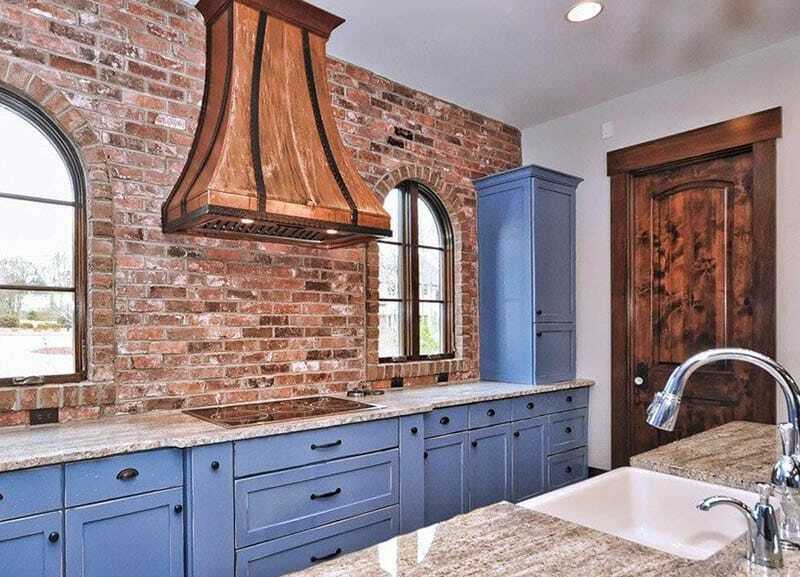 You can use reclaimed barn doors, teak from old ships, framed panes of stained glass, as long as you’re rail system is professionally installed and strong, you can choose materials that traditional hinges can’t carry. A reclaimed wood sliding door on the rough brick wall of an old factory turned funky loft gives a lot of warmth and texture. 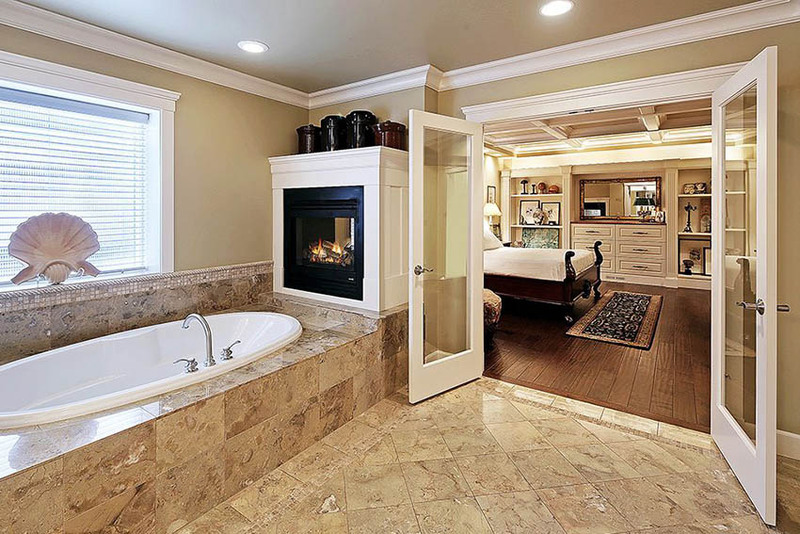 Create the feel of a luxury spa by using a glass sliding door between a master bedroom and Ensuite bath. Accordion door are also another type of space saving interior doors. Rather than operating on a swinging motion through the use of hinges, an accordion door is characterized by a door that opens by folding back in sections, thus forming a shape that is similar to an accordion. Unlike pocket doors which disappear into a wall, accordion doors typically fold up to one side. Usually accordion doors are used as partitions and dividers between spaces aside from being entryways. The main advantage of an accordion door is that it gives homeowners the option to install a self-contained door that does not take up much of the floor space on either side of the door. Unlike traditional doors which require clearance to open and close, accordion doors only require a minimum amount of space for threshold. This make it an ideal option for residential spaces with small areas as they help maintain a maximum amount of usable space. Accordion doors are also easy to operate. In some cases, regular swinging doors are prone to slamming and opening or closing loudly. The noise which comes from such may sometimes be disruptive especially if you want to create a peaceful environment for your home. Accordion doors also offer versatility as they can be used in various applications and can be modified into different sizes. An accordion door can be trimmed at the bottom to fit any size door opening. In addition, it is also available in a wide range of materials such as wood, wood, glass, vinyl or plastic. Bypass door are somewhat similar to sliding doors. 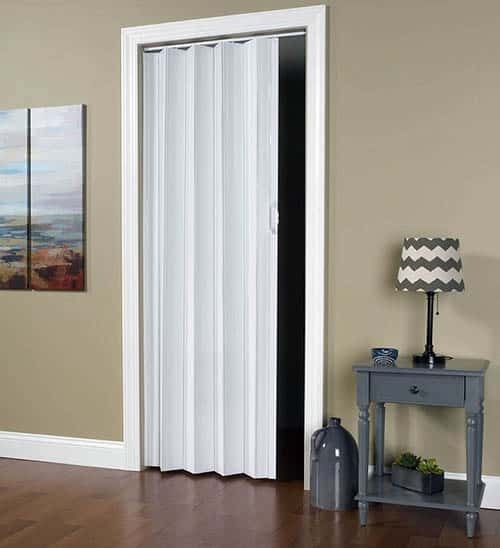 These lightweight interior doors operate on a sliding motion and hang from rollers that run along an overhead track. The components of a bypass door include a metal frame that runs along the bottom and the two vertical sides of the unit. They are typically mounted in pairs or threes, the doors can either slide along one axis on parallel overhead tracks and slide past each other in the process. Essentially, these door sections slightly overlap or bypass one another to allow access. When viewed from the front, bypass doors do not have any visible gap between them. Bypass doors are more commonly found on closets, storage areas and shower enclosure. For closet, the most popular type of bypass doors are the mirrored versions since they allow access to one side of the closet at the time, while also provide a full head to toe mirror for viewing oneself while getting ready. There are several advantages to using bypass doors, first is that they do not take up much floor space. Second is that they are relatively easy to install compared to swing doors. However, one of its major drawbacks is that the sliders or rollers may become hampered over time. 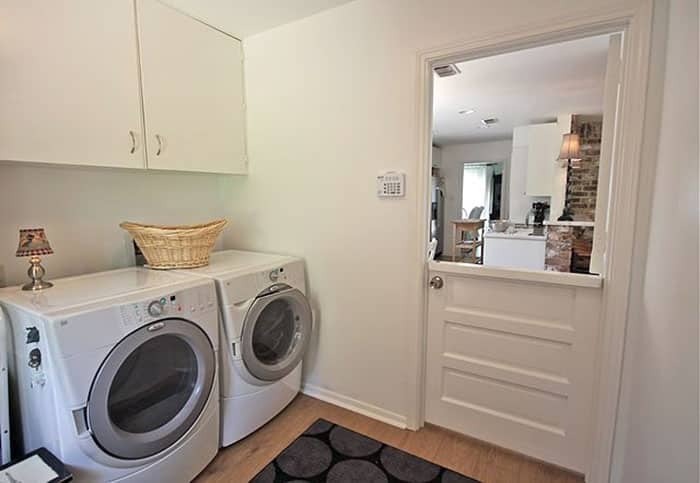 Maintenance can also be a bit of a challenge since the door units overlap, making it hard to reach certain areas, while the bottom tracks also have the tendency to collect dirt and grime over time. Bypass doors are available in stock at at home improvement stores at an affordable price. They are sold in different materials which include glass, wood and MDF. The design of bypass doors, on the other hand, include louvered doors, paneled doors, mirrored doors and screened doors. Traditionally known as a “concertina” doors, bifold doors are a set of interior doors that are attached together by hinges, slides open while its panels fold into each other and stacked neatly against a wall. Bifold doors are mounted and hung from a track and can have anywhere from two to seven panels. It is also sometimes referred to as “folding doors”. In terms of operation, bifold doors combine both the mechanisms of sliders and hinges as they use end pivots on pins that are inserted at the top and bottom edges, thus resulting to a greater opening space compared to a regular sliding door. Bifold doors are available in a wide range of materials which include wood, metal, glass or composites such as wood covered with vinyl. Bifold doors are best considered for use in small spaces as they do not require a full swinging door footprint. Bifold interior doors are most commonly used as enclosure in areas like laundry rooms, bedroom closets, and the kitchen pantry. They are also typically round in rooms which connect to outdoor areas such as entrances to a garden, balcony, lanai or conservatory. They work great in keeping a place feel “open” and for allowing maximum amount of natural ventilation and sunlight to enter into a space, while also creating an illusion of extra space. In terms of appearance, bifold doors are slim and provide a minimalist aesthetic. In addition they also provide impressive security and functionality. Because of their clean, streamlined looks, bifold doors can be used as interior doors for contemporary and modern settings, depending on their design. French doors are characterized by their classic appearance which is made up of a door panel with glass panes that extend throughout its length. 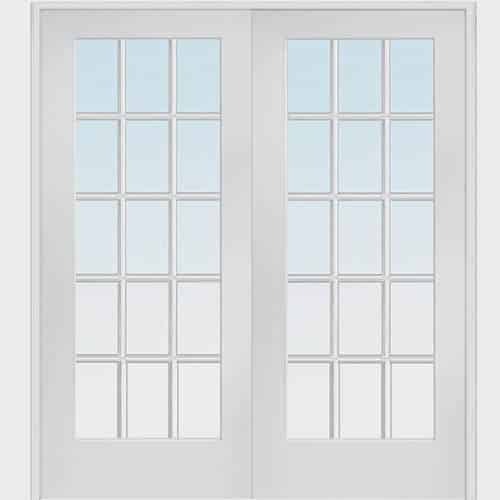 French doors have a configuration that contains two glass paneled doors that are hinged to the side of the side of the openings and swings toward one another. French doors commonly use glass inserts or decorative panels with a wooden frame. French doors are often thought of as exterior doors but they make quite the impact inside, too. 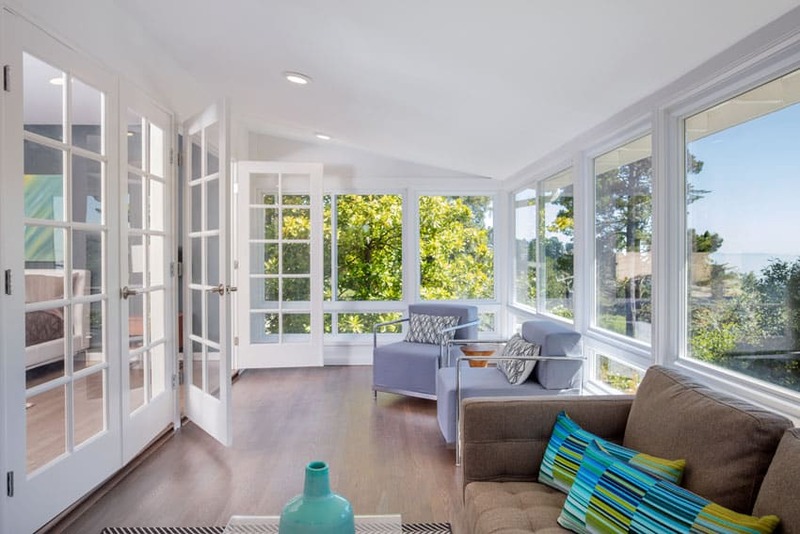 Interior French doors aren’t as strong as their element-exposed cousins and come in single and double door styles. They can be used as entry doors to patios or to separate two different spaces. French doors bring in privacy while also allowing visual connection between two spaces. They add a dramatic touch to entryways while also offering as touch of glamorous decor to a home. Aside from being functional, French doors are geared toward providing more aesthetic appeal and visual interest. They work best in areas of the home that are meant to be displayed like patios, living rooms, music rooms, master bedrooms, home offices, etc. If you wish to separate your dining and living spaces and give an air of luxury and openness, opt for French Doors. Although typically a mainstay in traditional home settings, French doors may also be used in more contemporary designs. 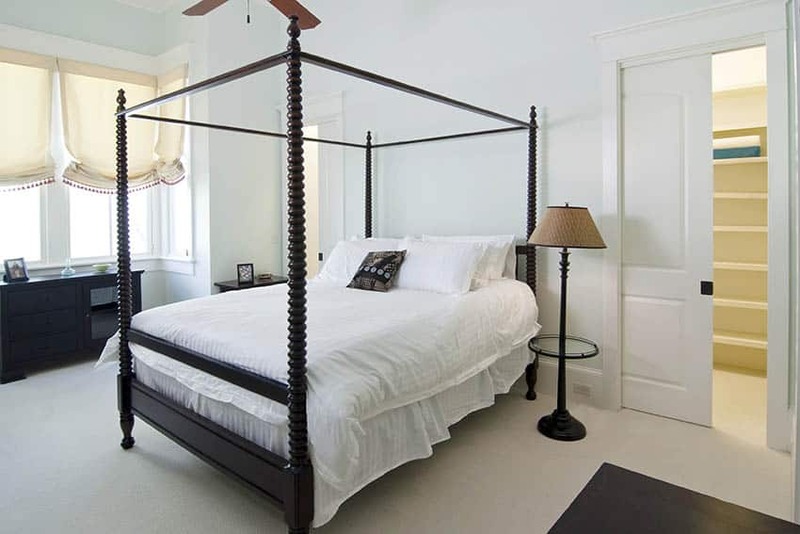 Have a large master bedroom? Give it the French door treatment, for added privacy, use textured glass. It will still allow natural light to flood through the door but no one will be able to see that you haven’t yet made your bed! French doors are a natural choice for a living room that opens out into a climate-controlled Florida room. Hidden doors, as their name suggests, are doors which are meant to be concealed and are designed to be unnoticeable in a home. 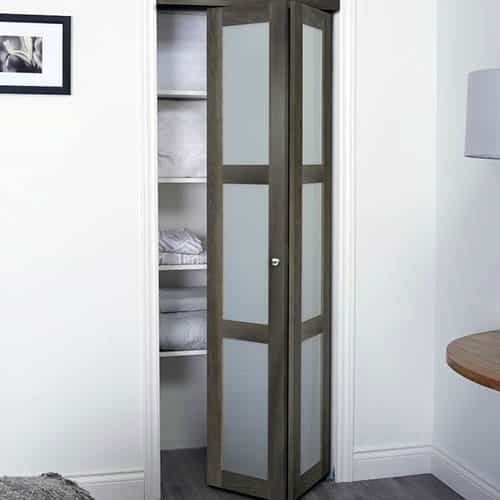 These doors are often custom-made and can be integrated into the design of a built in furniture. 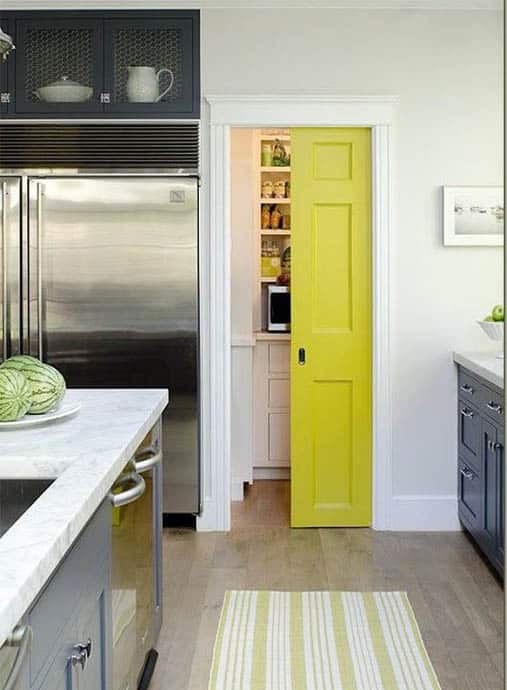 Hidden doors are a practical way to increase storage and add a little bit of secret fun to a space. They help save up floor space since you can create a multi functioning built in furniture to conceal the doorway. It also offers the perfect opportunity to put a neglected space into good use. In addition, hidden doors may also be used to keep an entire room out of sight, like a safe room. Hidden doors look like bookshelves or cabinetry and can be painted or stained to match the other woodwork in the room. Hidden doors are a good solution for closet doors in a small room, they add shelf space in an area where you might not have the wall space for standard bookshelves and they make getting into the closet seem like a magical adventure. You often see hidden doors in offices and home libraries, where you can surround yourself with walls of books, sink into a warm, worn leather reading chair, and get lost in the grand homes of Rivendell. There are several blogs that have hacks for creating DIY hidden doors with inexpensive Swedish bookcases. Also known as “stable doors”, Dutch doors or half doors are door that are divided horizontally in half. Dutch doors are split between the top and the bottom, so you can open one part of the door but leave the other part open. Most people think of exterior doors when they see Dutch doors, but they are a great addition to the interior of your home. You don’t have to split them at the middle, they can be cut to be split 2/3 of the way or ¾ of the way up or down the door. The bottom half and top half can be different materials, such as wood on the bottom and glass panels on top. Traditionally, Dutch doors were used to keep animals out of farmhouses or to keep children within the confines of a home. But throughout the years, the design of Dutch doors became more versatile. Dutch doors are available in a variety of colors and designs which often include decorative moldings, glass panels and unique paint and stain finishes. Although considered to be more traditional because of their classic looks, Dutch doors have become widely updated and suited for more modern home settings. 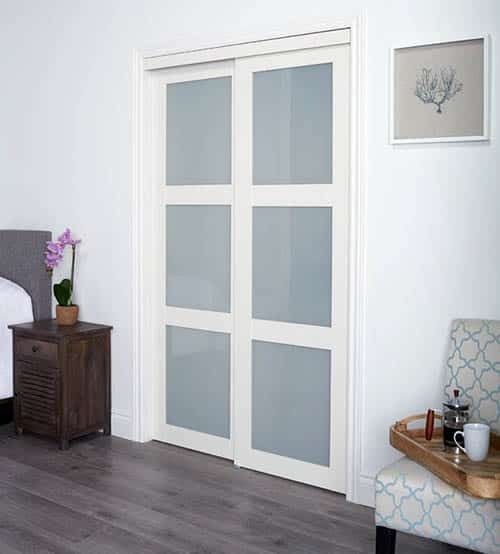 Dutch doors offer a perfect way to connect spaces especially for rooms in the house which have space restrictions. Its special design works well for dividing spaces and opening rooms to the outside environment, while allowing light and air to pass through. Dutch doors may be used as a primary entrance or alternatively, they can be utilized as doorways for kitchens, tool sheds, workshops, back doors, offices or nurseries. 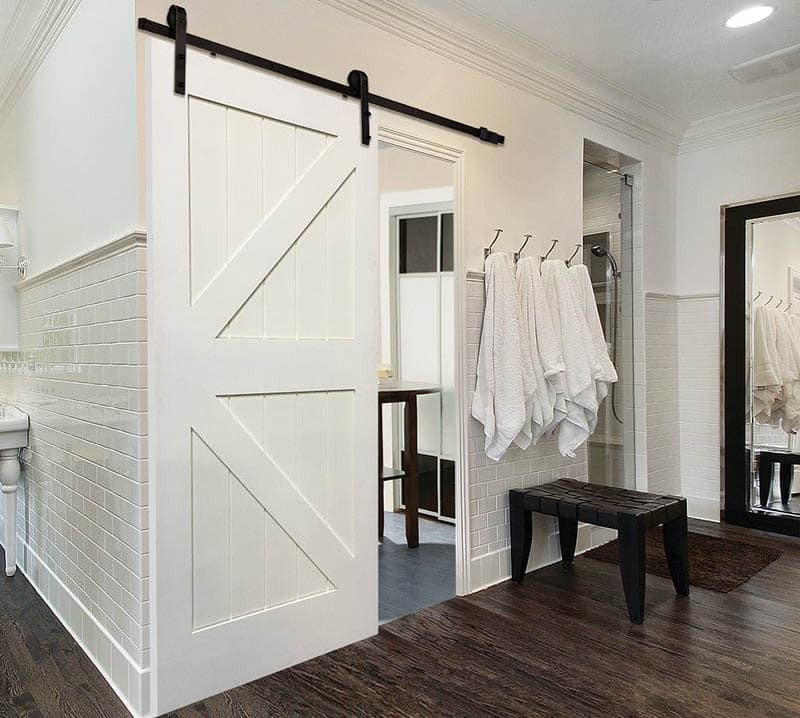 A playroom is a great place for a Dutch door. The bottom half can remain closed, containing and hiding the mess, and the top half can remain open so you can hear the kids and easily see into the room as you pass by. It gives them a sense of independence because they are playing with the door closed but you can still pop by from time to time to make sure they haven’t decided to use the innards of the bean bag chairs as snow. Interior doors play a large role in our homes, they divide public spaces and private spaces, separate work areas from entertaining areas, and, as you’ve seen, can have a great impact on the design environment. Whether you are building or renovating, consider changing up the door game, replace a couple of the basic builder’s doors with fun slide doors or space-saving pocket doors. Make a child’s room magical with a hidden door. Design touches every aspect of your home, choose doors to reflect your personal style and lend an air of distinction to your home. For more related ideas visit our front door colors gallery here.